Cambridge University Press, 9781108031097, 564pp. 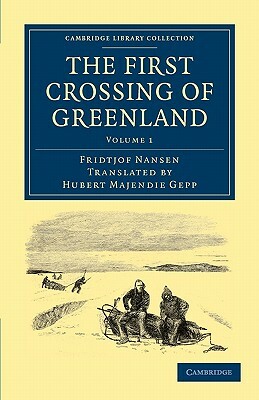 First published in English in 1890, this book by Norwegian explorer and scientist Fridtjof Nansen (1861 1930) recounts the first crossing of the Greenland interior in 1888, an expedition that took two months. Learning from previous failed attempts, Nansen suggested crossing from the uninhabited east to the inhabited west of Greenland, an innovation that proved successful. Nansen's account was translated by Hubert Majendie Gepp and includes an introduction written by the secretary of the Royal Geographical Society. Volume 1 describes the initial stages of the journey, including detailed accounts of the equipment, the methods used for crossing the ice and the arrival of the party on the east coast of Greenland. The volume ends with a description of previous attempts to cross the 'inland ice'. Nansen, who later served as delegate to the League of Nations, was awarded the Nobel Peace Prize in 1922 for his humanitarian endeavours.